The future for electricians is wired for growth in 2016 and beyond. The Bureau of Labor Statistics predicts the need for electricians will grow by 14 percent through 2024—much faster than other sectors. Construction firms specializing in electrical maintenance, installation and system designs need people with electrician training. Projects currently underway and slated for the near future in the energy and data sectors are creating job opportunities for electricians. In an effort to improve the reliability of service to the communities of Auburn Hills, Pontiac, and Rochester Hills, ITC Michigan started upgrading an approximately 4 mile, 120,000-volt transmission line in the area in January 2016 and will complete its work there this June. Similar projects are underway throughout the state and in the Midwest and Great Plains. Also, industry experts predict that about $505 billion will be needed to invest in oil and gas infrastructure in the next 10 years. 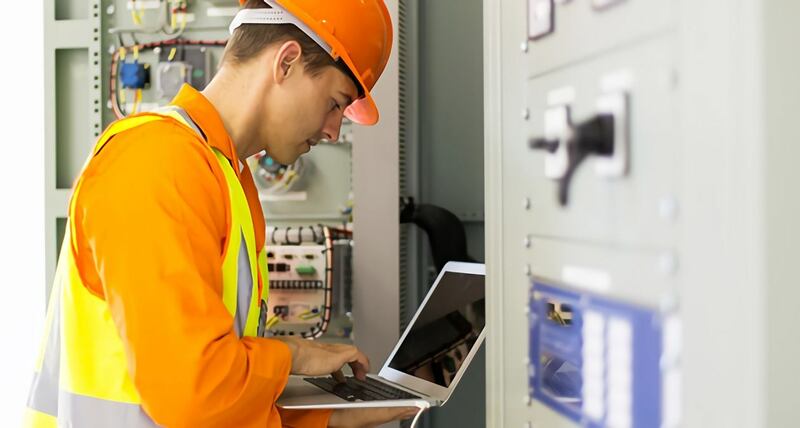 Electricians are needed to install and maintain the complex network of technology in data centers, and trade school is one route of entry into electrical work in the information industry. Companies that electricians work for include tech giants Facebook and Google. Facebook plans to build three data centers in Altoona, Iowa, which are projected to come online in late 2016. The use of solar power has is emerging and there is a need for electricians, along with plumbers and solar photovoltaic technicians, install residential and commercial solar projects, notes the Bureau of Labor Statistics. Thirty percent of all new electric generating capacity brought on-line came from solar in the first three quarters of 2015 in the U.S. Currently, there are solar projects under development throughout the country that likely need the assistance of skilled electricians. Viewing an interactive map can give you an idea of where the projects are being done. Construction projects in Florida are on the rise and in need of electricians. In Riviera Beach, FL, a $375 million renovation of the local marina is underway. In Miami-Dade County, more than 2,400 new construction jobs were added in January 2014 alone. With residential construction projects planned throughout the state, the demand for skilled labor is strong, and the industry is wary that there won’t be enough to keep projects moving. Arizona and Texas are in dire need of trade professionals. One home builder in have been telling would-be owners that newly constructed homes may not be ready for a year as opposed to the normal five or six months. Skilled workers is highly competitive in Houston and other Texas cities as a lot of new construction is slated to start. Electricians will likely enjoy job security in 2016 and beyond. If you’re interested in entering this promising field, contact Tulsa Welding School today to get started.